Chris Woods is the cofounder and COO of TuneSat. Since launching in 2009, TuneSat has helped rights holders collect millions of dollars that would otherwise have been lost or undiscovered without the essential detection data that the company provides. MBJ: How did TuneSat come to be? CW: I graduated from Berklee in a major, Music Synthesis, that incorporated a lot of the digital recording technologies. I was really interested in the engineering aspect of commercial music and in Pro Tools. When I moved to New York City, I started a jingle studio. Doing that, I met my current business partner at TuneSat, Scott Schreer, and he had a long history of writing music for television. He had written the NFL on Fox theme and a lot of other music for sports brands that we hear on television. At the time he was working with “watermarking” technology to identify music used on television to help content owners get paid properly, which I thought was a really cool concept. MBJ: Can you explain what “fingerprinting” an audio file is? CW: Fingerprinting is a code that’s embedded into a master recording that a listening device can identify. The technology had been around since the late 1990’s and early 2000’s and we saw much potential in it. MBJ: You seem to have found a niche in the market. CW: The product that we’re offering was a long time in the making. The point of starting this company was to address the problem of the huge mis-allocation of performance royalties due to manual reporting processes. As a composer myself, not composing pop music, but having music on television, getting paid properly was a problem because of faulty manual cue sheets. If the guy with the stop watch in one hand and a pencil in the other isn’t paying attention, doesn’t know what the song is, or isn’t even doing a cue sheet at all, you don’t get paid. As a composer, you rely on that revenue stream, you rely on licensing and performance royalties to sustain a living. We saw that taking this technology and using it on applicable mediums would be beneficial to composers, artists, and copyright owners to know where their music was being used so they could get paid. MBJ: How did you approach financiers to help grow the company? CW: We started off with some angel investors; they were friends and family who really liked the idea of what we wanted to do. From them, we had a little bit of seed money to start the business. We began to make inroads through associations and introductions. We built a financial model and a business plan that we would present to high net-worth individuals and venture capitalists. It took a lot of time. There were a lot of presentations and a lot of “No’s”, but eventually we got to a “Yes”. We were trying to convince them of what we already knew. The performance royalty business is huge. Globally, there’s over $9 billion being collected in performance royalties per year. There’s a lot of money out there, and through research of our own, we had discovered that 80% of the music being used in TV goes unreported. That means that all this money is being misallocated based on inaccurate, incomplete, or non-existent manual cue sheet reporting. The 80% is just for TV alone; online, it’s much worse. That’s just for performance royalties. Then you get into all of the revenue that should be going to the labels and the publishers from content that is not even getting licensed in the first place. There’s a lot of money at stake. In a time when the music business is in a bit of a flux due to decline in sales and all sorts of other issues, it is imperative that content owners get paid for the use of their content–be they labels, publishers, or independent artists. MBJ: How does fingerprinting turn into a business? CW: With “fingerprint” technology we can identify any version of a song. It doesn’t matter if it was distributed over 30 years ago, or will be distributed 30 years from now, as long as you have a fingerprint of the original recording in the database, you’re covered. We acquired our own fingerprint algorithm in 2006. We set up TuneSat, got funding for the company, and set up a monitoring facility in New York City where we started monitoring 110 national network broadcasters. We tested for a year and got the kinks worked out and all of the applications written. Then, in 2009 we launched our business to the public, which is basically a subscription-based service that any content owner can sign up for. They supply us with their master recordings; we fingerprint the music and create an account for them. The content owner can then log-in and see their songs’ performance data in real time as to when and where their music has been used on television. We back up our findings with MP3 recordings of every detection as proof of usage. Content owners really like this because they had never had the ability to know of their music being played before, or where it’s being played, or how often it’s being played – especially not to this level of accuracy and efficiency. The key to the algorithm, especially in TV with a lot music being buried under dialogue, is its ability to still be able to identify the audio and get full duration information. MBJ: How do your clients use the information that you provide? CW: Our clients really use this information for three things. The first is to address the accounting of performance royalties. All of the performance rights societies around the world make their distributions based on manual cue sheets that they receive from their licensees, the broadcasters – CBS, Fox, etc. The problem with this is that it’s a manual process and millions of needle-drops are used each year in television–a lot of stuff falls between the cracks. This results in a huge misallocation of performance royalties. With this information in hand, we’re able to run an application that compares our own data against a client’s royalty statement for the corresponding period and give them proof that we detected performances that were not accounted for. They can take our data to the PRO and get paid on their performance properly. Secondly, a lot of content that gets broadcasted – more than we ever anticipated – is done so without a synchronization license or a master use license, which is a big deal. It’s copyright infringement. The penalties are quite high, and so our clients can also use our data to ensure that songs that do get used are properly licensed. If it happens that they’re not licensed, they can use our data to pursue those claims. The third reason our clients find a lot of value in the data is because of all the business intelligence. They know which songs are getting used the most, which titles are getting the most traction, and can track new releases. This data serves as a marketing and business-tracking tool. As of 2011, we’re now able to track thirteen countries: US, UK, Germany, France, Italy, Netherlands, Spain, Austria, Switzerland, Sweden, Norway, Denmark, and Finland. MBJ: Do you need licenses to be able to tune into all of these networks? CW: No, we’re able to obtain the satellite feeds just like any normal consumer would, and we’re listening to those broadcasts with the purpose of identifying copyrighted music on behalf our clients, the content owners, like the Universals of the world and the Orchards of the world. Even composers like myself are able to know where in the world their music is being played so that they can be paid properly. 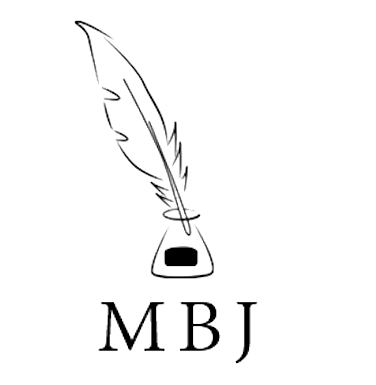 MBJ: How exactly does it work? CW: Our system is listening to harmonic content as well as transient properties. Think of how music looks on a spectrograph. It’s kind of like that when you can visualize the sonic properties of audio. The algorithms are doing the same and picking up on key properties that are unique to the audio file, and then storing that as an acoustic fingerprint–which is kind of like the DNA of the recording itself. After that, it’s constantly looking for matches with whatever is in the fingerprint database. MBJ: Let’s say that McCoy Tyner covers a Beatles tune. Is the system capable of recognizing it as a Beatles tune? CW: Covers are a different case. The way most fingerprinting systems work, and ours specifically is by having a master recording. It’s not like we can have one copyright in the system, or one master recording of a copyrighted work, and identify all of the other recordings out there. The audio for the cover has its own unique properties, so we would need the master recording of the cover to present proof of it’s usage. MBJ: Would you ever consider licensing your technology to other companies? CW: Sure. We do it today. We have licenses in Europe as well as licenses in South America. The main purpose of TuneSat’s business model is subscription based, but we’ll license the technology to other companies with various needs. It could be for consumer-based mobile devices like phones and iPads. We’ll license our technology to broadcasters themselves to help improve efficiency in the music reporting process. NBC Sports, here in New York over at 30 Rock, was an early adopter of the technology. We’ve had TuneSat’s technology used for the Olympics and countless sporting events since Beijing. We’re constantly listening for the music that those programs use, creating cue sheets then are then filed by the broadcasters with the local societies to facilitate accurate performance royalty distributions. MBJ: It’s my understanding that your clientele base is quite broad. You have small clients, but then you also have publishers that oversee massive catalogs. At what point does somebody need a service like TuneSat? CW: It’s valuable to anybody who has music being played on TV within the countries that we monitor. We just started monitoring internet plays, but as it pertains to TV, if you write for television, or if you’re an artist and you have a lot of your music being used and actively licensed, then it’s a worthwhile service to consider using. The way we structured the business model is that it works for the small guy just as easily as it works for Universal or Warner in that anybody can sign up for an account. The smallest tier that we have is $10 per month for ten tracks. That’s basically an album that you can track for just 10 bucks a month. That’s pretty cheap for a service that provides 24/7 monitoring. The new service is an Internet monitoring service. Basically the way that works is we’re crawling millions of websites in about 26 countries and looking at any publically available IP address that is hosting multimedia files, whether it’s a business, a blog, or a user generated website like YouTube. Once we find multimedia files, we’ll record them, pass them through the system, and then populate our clients’ accounts with the URL of where the music was identified. That opens the business a bit wider to a larger client base. Now you don’t have to have music on TV, but you can have music on the Internet. The Internet is so expansive. You don’t know where your music is, you don’t know who’s using it, or who is blogging about it, but we’ll be able to identify where it’s at and how it’s being used. MBJ: Do you think that the composer or artist who gives their music away for free to fans is entitled to royalties for synchronization? CW: I think so. The fact that it’s put out in the public does not make it public property. That person is still the owner of that music. You’d have to register the music and you’d still have to be a member of a performance rights society. Instead of that, there’s always the option of licensing it directly to the commissioning party. That happens a lot with certain broadcasters who demand those rights. It happens with brands that use music for various campaigns. MBJ: Finally, what is your take on the possibility of a global registry of metadata? CW: I think it would be great if it happened, and I think that there are a lot of entities attempting their own flavor of it. Maybe that’s part of the problem in that too many people are trying to do things in a way that’s proprietary, whether it’s GRD or DDEX or any of these other standards that are being developed. It seems that the labels have figured it out somewhat with ISRC codes (International Standard Recording Code), which are more easily traceable. I learned through doing this that when it comes to a publisher, though, it’s really a mess. I think sometimes that publishers aren’t even aware of all of the copyrights that they own. They’ll buy a catalog just for the top copyrights that can make them the most money and that’s all that they’re concerned about. It could take years before the less lucrative copyrights are registered. It’s definitely messy. Then you have to take into account that fact that international copyrights for the same song may have different terms. I think it would be great to have a central repository of who owns what, though. It’s just a very daunting task and I’m not sure who will be able to do it properly. I think that we could be a part of the solution in that we have the ability to identify audio files and we can help people clean metadata. Part of what we’re doing now is to fingerprint about 13 million popular music audio files. For us, this will enable us to expand outside of TuneSat’s core subscription model. But it will also help us match an audio fingerprint to the larger database of ownership metadata, which could be useful for everyone.